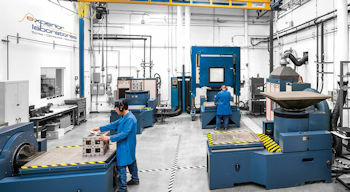 Experior Laboratories, Inc is a Southern California based, third-party test laboratory providing independent design verification and qualification testing services to component and system manufacturers, military contractors, integrators and system providers within the Telecommunication, Military, Aerospace, Space, Industrial, Medical and many other industries. Recognized throughout the industry for superior customer service, consistent on-time delivery, project management by experts and end-to-end accountability, Experior Labs offers customers cost-effective, highly qualified testing services that add value to any organization, regardless of size. 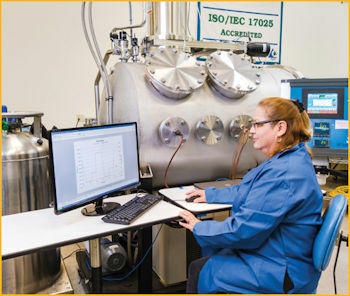 Experior Laboratories' JPL approved and ISO-17025 accredited laboratory houses multiple state-of-the-art vibration, shock and thermal vacuum systems supporting a wide range of space component qualification testing applications. Shock and Vibration, we can support many profiles from SRS and Classic Shock, Sine and Random to Sine-on-Random, Launch, Gunfire and Windmilling vibration, at Temperature and/or within a Clean Room environment, if required. For Thermal Vacuum, we offer several large chambers able to support vacuum requirements down to 10-8 Torr, combined with a temperature range from -180 to +200 Deg C.
For additional information about our company, products, and services, please visit our website below or call us.